In his book, The History of Animals, written over 2,000 years ago, Aristotle proclaimed that while some organisms arise from similar organisms, others, such as insects, arise spontaneously from putrefying earth or vegetable matter. Each spring, the ancients observed that the Nile overflowed its banks leaving behind muddy soil and frogs that were not present in dry times. In Shakespeare’s Antony and Cleopatra, we learn that crocodiles and snakes are formed in the mud of the Nile. The concept that some living beings could arise from nonliving inanimate matter, which Aristotle called spontaneous generation, remained essentially unchallenged until the seventeenth century. After all, it was commonly observed that maggots appeared to arise from decaying flesh. In 1668, the Italian physician and poet Francesco Redi devised an experiment that questioned the validity of spontaneous generation and the origin of maggots from rotting meat. Redi placed meat in three widemouthed jars, which he set aside for several days. In the one that was open, flies reached the meat and laid their eggs. In another jar that was sealed, no flies or maggots were found. The mouth of the third was covered with gauze, preventing flies from entering the jar containing meat but upon which they laid their eggs that hatched into maggots. One century later, Lazzaro Spallanzani, an Italian priest and biologist, boiled broth in a sealed container and permitted the air to escape. While he did not see the growth of any living organism, the question persisted as to whether air was an essential factor required for spontaneous generation to occur. In 1859 the French Academy of Sciences sponsored a contest for the best experiment that would conclusively prove or disprove the validity of spontaneous generation. In his winning entry, Louis Pasteur placed boiled meat broth in a swan-necked flask, with the neck curved downward. This allowed the free flow of air into the flask, while preventing the entrance of airborne microbes. The broth-containing flask remained free of growth, and the concept of spontaneous generation was believed to be relegated to history. SEE ALSO: Origin of Life (c. 4 Billion BCE), Aristotle’s The History of Animals (c. 330 BCE), Cell Theory (1838), Germ Theory of Disease (1890), Miller-Urey Experiment (1953). 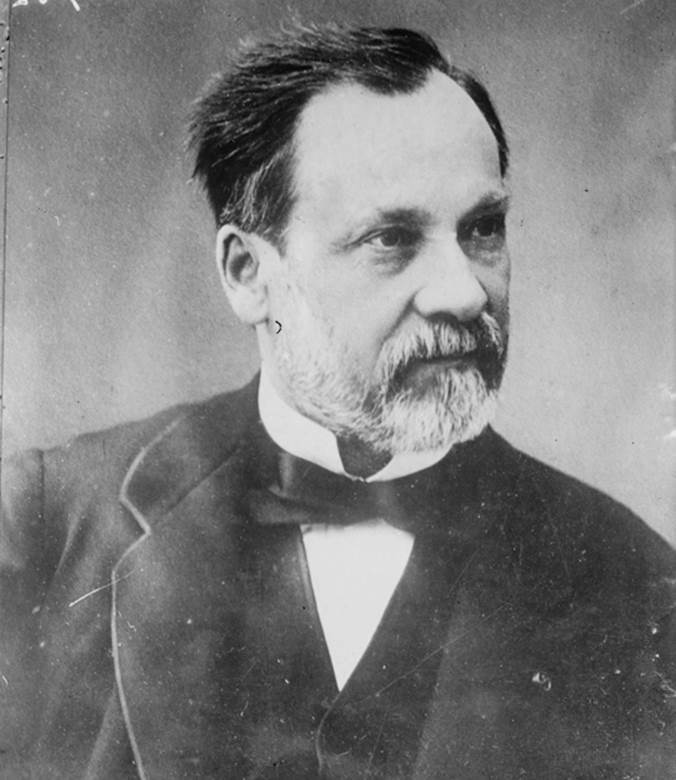 Louis Pasteur, a French microbiologist and chemist, made significant discoveries relating to the germ causes of disease, vaccinations, fermentation, and pasteurization.